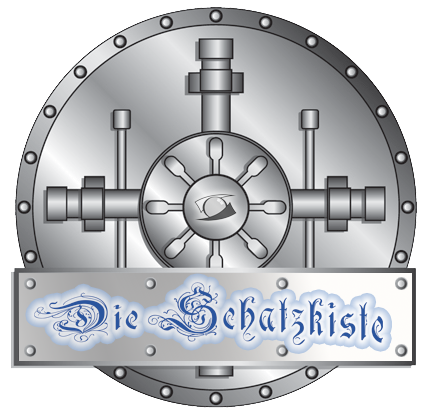 The Schatzkiste (treasure chest) is a special service of ours that you will not find otherwise. The photographer will come to your kindergarten as usual. Instead of a photo series to view you will receive a secret key from us to open the Schatzkiste. With the Schatzkiste you have direct access to the picture archive. In the Schatzkiste you will find a preselection of the photos of the photo session. You have the possibility to order the pictures in 3 different sizes, in three different versions (Color, B / W, sepia) and 4 different decorative frames (altogether 45 variations per picture - without surcharge). Even special products such as key-chains can be ordered immediately. You will get a preview of all variations. We produce the photos only at your request, so we can keep our costs low and calculate incredibly tight: you get the pictures for about ½ the price of our competitors. Order what you want: from the mini series for 5,60 € (for a group picture and a portrait picture) to the super-extensive luxury series with five different pictures as gifts for the whole family for 40 €. The parents decide for themselves, what you get and what it should cost. Most parents should have Internet access. On request, we will also send you a printed catalog with all pictures and order forms, but of course this is more complicated and the benefits of ordering online are no longer there. Second, the kindergarten must ensure that all parents agree with this type of order. If there is any doubt, the alternative is that the parents order 'Die Schatzkiste' also under supervision on a computer directly in kindergarten or that the kindergarten makes a collective order. It is also easily possible to create a separate treasure chest for each person (and not for each group). Or you decide for die Fotoaktion. See the flyer if Die Schatzkiste (german) as PDF to download. If you are interested, we will send you a non-binding offer. The kindergarten: No more work with distribution and collection of photo folders and pictures. No debt collection, no returns, no final statement. The parents: More choice, cheaper prices and you can decide comfortably at home. Photo-and-child: Less costs, as we only produce the pictures that are needed. The environment: no unsold pictures have to be destroyed anymore. The parents: You can also order pictures much later: Up to a year after the photo session! And last but not least: Even grandma, grandfather and other family members can order pictures if they receive the code from the parents - without surcharge.